Well, not officially, but once Memorial Day is here… it’s summer as far as I’m concerned! 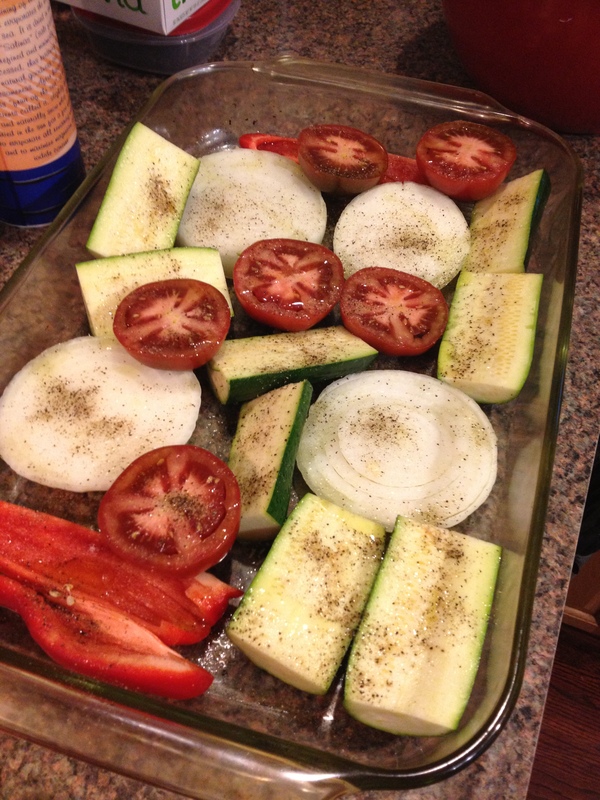 What types of food remind you of summer? For me, it’s Watermelon, Peaches and Plums, Ice Cream, and of course Grilling. 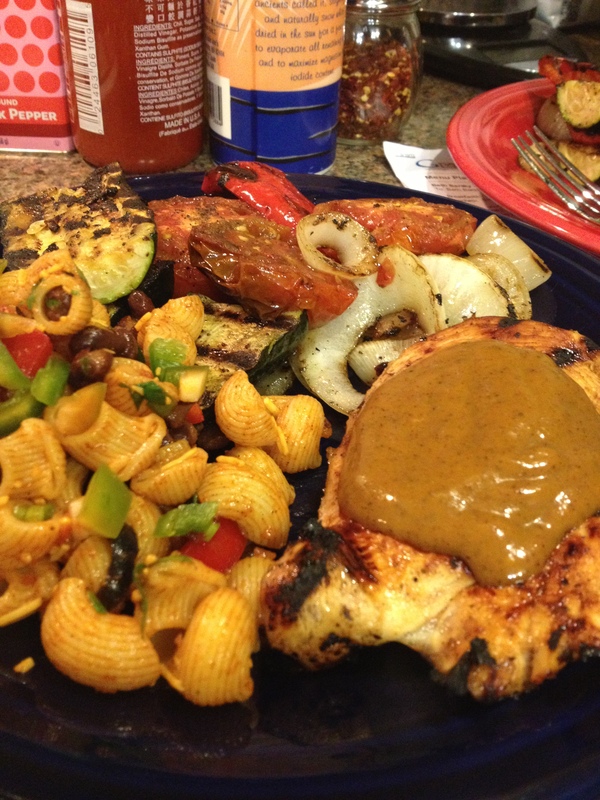 Last week, we fired up our grill and made an amazing BBQ spread with tons of veggies and juicy chicken covered in our Homemade BBQ Sauce. Dave really wanted pasta salad for a side dish but I wasn’t interested in getting all Mayo-ey. I adapted this Tex-Mex Pasta Salad from Cooking Light to make it into a side-dish. The pasta salad turned out fabulous, we all really liked it. It was a nice light side that went along perfectly with our grilled veggies and chicken. I’d love to try this with ground turkey as the original recipe calls for to make a complete meal next time! Cook pasta according to package directions. Drain and rinse with cold water. Drain; set aside. 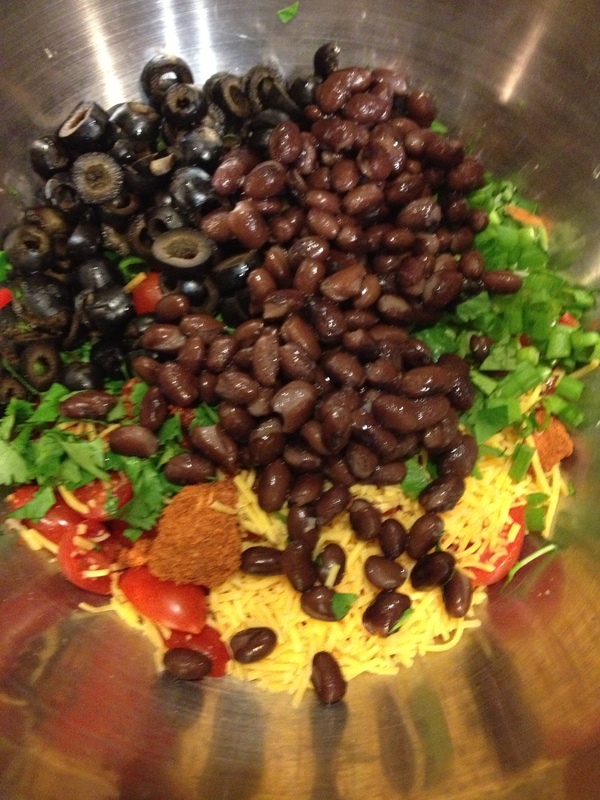 Combine the garlic, tomatoes, bell pepper, cilantro, green onions, olives, and black beans in a bowl. Carefully stir to combine. Add the pasta and stir again. Add the oil, lime juice, taco seasoning, salt, pepper, cumin and stir until combined. Add extra taco seasoning if desired. The original recipe not only included ground turkey, but the sauce was made with sour cream and topped with salsa. I was planning on using some fat free sour cream to keep it healthy, but when I tasted the pasta salad just using the seasonings, oil, and lime juice… I loved it so much that I just left it alone. If you prefer a creamy pasta salad, go ahead and add some sour cream. OR, if you want it to just be a little less dry, you could always add the salsa. 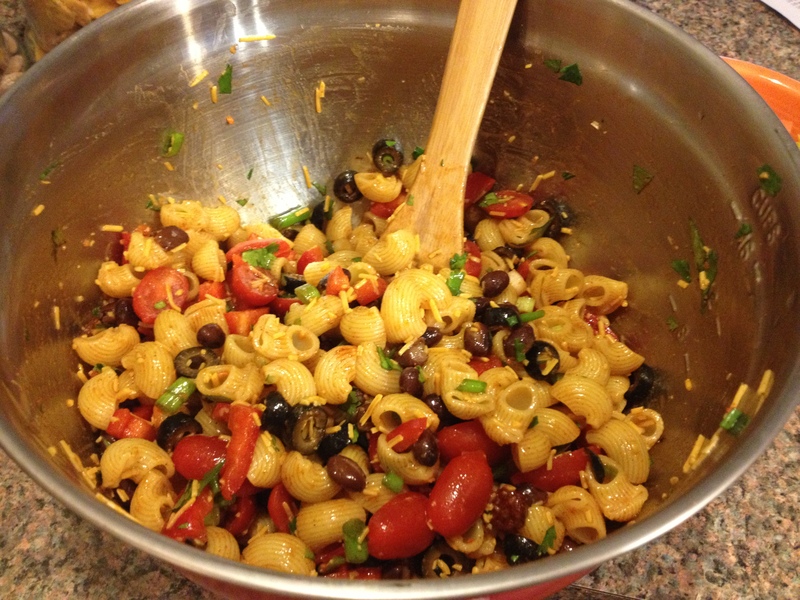 Do you have an awesome pasta salad recipe? Please share! !